We welcome you to join Barbra at one of her upcoming speaking events. Barbra's speaking events offer a fun time with insightful information that you can use in your everyday life. Note: I’m excited to re-launch “Yes! I Said No” in 2019 with a corresponding workbook and an audio-book! Stay tuned for more details. How To Deal With The End of a Relationship - Join me as I discuss this subject with Kirk Samuels, on his Free Indeed webinar March 30. Check out Christi Miranda’s podcast PreachGirl! on Tuesday, March 19, when I will be her guest. 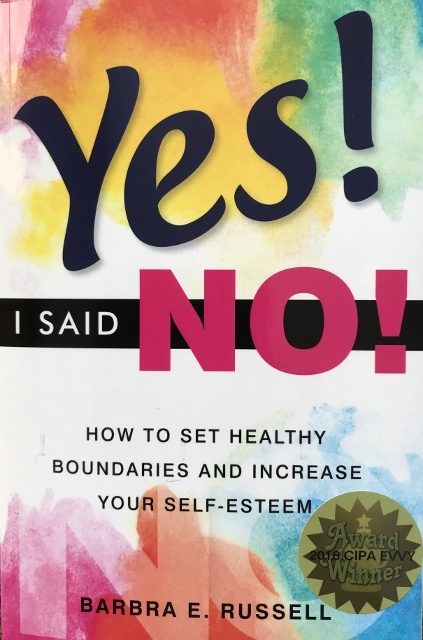 Here’s an opportunity to go behind the scenes of the book, Yes I Said No, How To Set Healthy Boundaries and Increase Your Self Esteem and to make personal application for you. Mark your calendar now for January 19. I am honored to be part of the My Collective group with such intelligent and talented ladies who are making a difference in the world. I will always remember the woman who said, “I attended class on Tuesday, and I read your daily reflection. Last Sunday I wanted to end it all but I went to church instead.” That’s why we do what we do - and how we impact people’s lives in a big way. And maybe we’ll hear about some of those impactful things we do; others we may never hear about but we serve, and we plant, and we sow. In the end, we’ll be building those big people and making a big impact in our church, our city and our world. Something I read the other day says it well, and I call it “learning from bees.” Every creature in a beehive, every single honey bee, has a purpose — a role it follows its entire life. Guard bees protect the hives, nurse bees take care of the babies, and architect bees build the hive’s hexagon structure, making it mathematically perfect in every way. There are even undertaker bees who remove the dead from the hive and fly 100 yards to dispose of the bodies. Certainly, humans have purpose in their lives. But why are bees so single-minded and committed to that purpose? It isn’t just for the good of the queen. It’s for the good of each other, for their whole community. That’s us — we’re here for the good of each other, for the whole community. Register for the “My Collective Conference” live on-line conference, Friday evening Oct. 19 and Saturday, October 20. I will be one of several dynamic speakers you can hear live and/or recorded to listen to at your leisure. 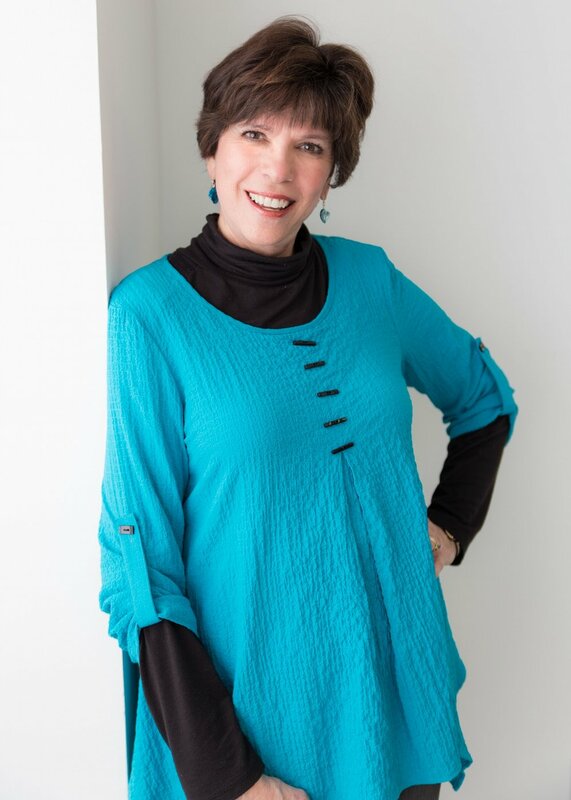 See “Barb’s Stories From the Couch” for an outline of my presentation. Also see my facebook page - Barbra Ellen Russell - for a one-hour facebook live video with Christi Miranda as we talked about “men’s brains and women’s brains are different.” It’s funny, fascinating and I think mandatory information for both men and women as we work on communication and understanding. Do you want to know more about setting boundaries, dealing with depression or building confidence? I’ll be speaking on these topics in June and July and I’d love to connect with you. v June 20 – Uplift Her - This live video conference sponsored by Kirk Samuels, author of “For Your Eyes Only” will be offered live at 6 a.m. and recorded for subscribers to hear later as well. I will be talking about building confidence and how you care for others without carrying them. Kirk offers these live video conferences twice monthly and you can subscribe for only $17 a month with no contract required. Check out uplifther36.com and uplifthim36.com for more details. v July 13-14 – Woman Evolve Conference – Sarah Jakes Roberts is hosting this amazing two-day conference, to equip women through spiritual and practical development, in an environment of sisterhood and community, with the tools necessary to evolve into the highest version of themselves. The Collective Conference - This unique on-line video conference is being hosted on October 19-20, and I'm delighted to be a part of the many speakers, special events and vendors. More details later. Barbra will be presenting at His Love Fellowship, located at 910 Kalamath St, Denver, CO 80204. Barbra will be to speaking to the Mom’s Group on the topic "To Be Successful, Invest In Yourself"
Sarah Jakes Roberts is hosting the “Woman Evolve” conference at the Potter’s House; of Denver located at 9495 E. Florida Ave. Denver, CO 80247. Barbra will be presenting a workshop on the 13th. More details to follow in the upcoming months.